A question recently crossed the mind of one of our directors as he waited for his venison steak at a restaurant. “What am I eating?” From a consumer perspective, it is important to know what meat we consume as individuals. Red meat sources within Southern Africa have almost exclusively come been restricted to beef, however over the last few years as the cost of beef has increased in addition to a paradigm shift in consumer mind-set, alternatives sources of red meat have become more popular. The hunting industry has also been a motivating factor to encourage venison consumption. This has not only provided South Africans with a variety of choice but also lead to increased market competition in the livestock and venison industries. Venison in South Africa will commonly include ostrich (a lean South African favourite) and antelope such as springbuck (our national animal and Rugby team), impala (our wildlife equivalent of MacDonald’s), wildebeest (our wildlife equivalent of KFC), buffalo (the wildlife equivalent of Steers), and warthog and zebra (representing the gourmet alternatives). From a nutritional perspective, our body can process any protein source, but the biochemical value of that protein will determine its nutritional value. A 85g serving of grilled top round beef steak contains 138 calories, 25.6 g of protein and 3.2 g of fat (including 1.3 g of saturated fat). 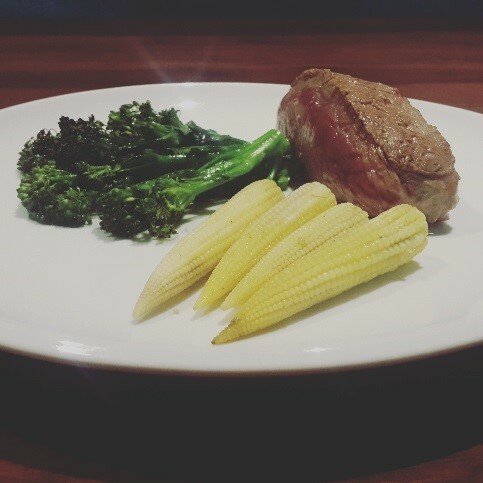 Although this cut is not particularly high fat, 85g top round venison steak provides only 129 calories of which 26.8 g is protein and 1.6 g is fat (of which only 0.9 g is saturated fat). Other cuts of beef are much higher in fat, namely prime rib. A 85g prime rib contains 328 calories of which 27.5 g is fat (11.4 g saturated fat). 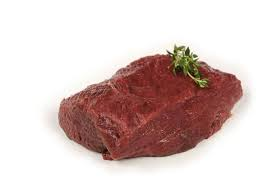 Where a large proportion of South Africans have high cholesterol, the reduced fat content in venison is certain to be a popular choice. Furthermore, not all beef cattle are grain fed or free-range (and those that are come at a price), but you can be certain that your venison certainly is, which makes venison the better alternative for the health-conscience. At Inqaba biotec™, we provide a variety of wildlife and domestic animal genetic services of which forensic analysis of samples in included. Simple species identification involves sequencing a portion of the cytochrome oxidase I, cytochrome b and or D-loop of the mitochondria. These targets are routinely used in forensic analysis to determine species. Once the sequence(s) have been generated, it is compared to an enormous database of similar sequences form different species. Sequence similarity of 99% or more between the sequences generated and the sequences in the database confirms species identity. In this manner, we were able to determine that the exceptionally tender venison steak consumed by our executive director, was in fact an Eland steak as presented on the specials menu.